← TOOL TETHERS: GEAR KEEPER’S UNIQUE POLYURETHANE ELASTIC CORE OFFERS 250% STRETCH FOR STRESS-FREE SAFETY. Using a portable radio is ‘handy’. Using a portable radio with audio accessories like a speaker/mike, headset etc. is even more ‘handy’. Less ‘handy’ are the cables that you need to connect an audio accessory with the portable radio. Wireless Bluetooth applications are very popular for cell phone use and on (motor)bikes or when skiing. Bluetooth for use in combination with portable radio’s like PMR446 is getting more popular now. 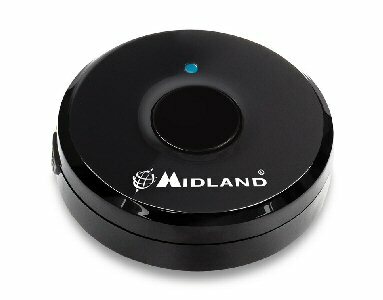 Midland recently introduced 6 new products in their WA (Wireless Accessories) range. 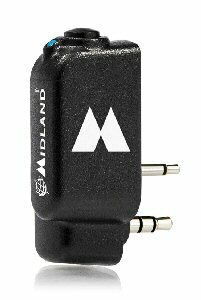 Midland’s new “WA” range of Wireless Accessories can be used with any Midland wireless transceiver (fitted with a 2-pin socket). All devices come with a rechargeable lithium battery, with a USB cable for charging. Bluetooth adapter; WA-DONGLE for 2-pin radio’s, including Kenwood. 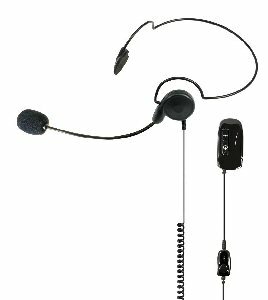 Plug the WA-Dongle into your transceiver and choose from various headsets of the WA range to suit your needs. Each headset features a small PTT button. 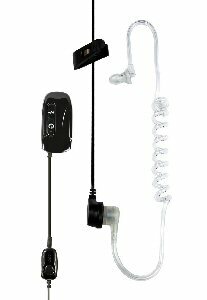 WA headsets can be used with all mobile phones with Bluetooth function. 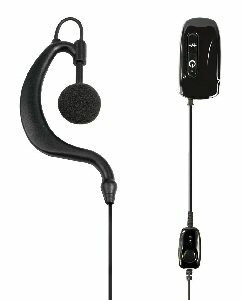 Combined with a WA-Dongle, it allows you to transmit hands free without having to use the PTT button on the headsets. WA-Dongle, Bluetooth Adapter suitable for Midland 2-Pin Transceivers. BlueTooth, Wireless PTT suitable for WA-DONGLE. 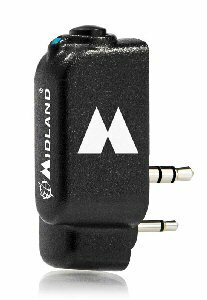 With this new Midland WA-series the use of BlueTooth audio accessories is possible for many types of portable radio’s. Actual pricing on our website, check the links in this Blog. This entry was posted in Blue Tooth Communications, Kenwood, Midland, Motor Rider / Ski Communications, Scanners / Receivers / Software, Telecom, Transceivers HAM, Transceivers PMR446 and tagged Blue Tooth, BlueTooth, midland, WA-Dongle, WA-Dongle-K, WA-PTT, WA-series, WA21, WA29, WA31, Wireless Accessories. Bookmark the permalink.